In the kind of timing, precision and effort lacked by pretty much all of Real Madrid's players on Sunday - with the sprightly Vinicius Jr an honorable exception - the club's bosses made an announcement within minutes of the team's 2-0 home defeat to Real Sociedad that a reinforcement from Manchester City was on the way to sort out the mess. A recruit from the Etihad was coming to add some steel to the Real Madrid footballers who Luka Modric admitted were underperforming. "There are a lot of players who are not at their best, myself included," admitted the current Ballon d'Or holder. A recruit to take names and kick you-know-what to both drag Real Madrid back into the back four and chase down a Barcelona side with a ten-point advantage over their eternal rivals at the top of the table. Well...it looks like Real Madrid has a recruit who can play football. But forget the rest. The club has signed a 19-year-old Spanish midfielder from Manchester City who has barely played top-flight football. Brahim Diaz has been with the Citizens since the age of 14 but has only made four appearances this season. The deal is worth $19 million and lasts up to 2025 - when Real Madrid might be vaguely decent again. The footballer was presented in front of a gaggle of fairly unexcited fans on Monday. Tune into the Locker Room to find out if our panel is convinced if this is the kind of show-stopping signing that Real Madrid needs to rediscover its mojo. Tune in at 7:30PM ET / 4:30PM ET. In the kind of decisive action not being taken by Real Madrid at the moment, Thailand's bosses have decided to fire coach Milovan Rajevac just one game into the Asian Cup currently taking place in the United Arab Emirates. The 65-year-old Serb was relieved of his duties after Thailand lost 4-1 to India in the team's opening clash on Sunday. Day 3 of the tournament is underway with the stand-out clash being South Korea's debut against the Philippines. Elsewhere in the wild world of soccer and La Liga wraps up the round with a nail-biting affair for Athletic Bilbao fans. The historic team that has never been relegated from the top-flight is currently in the relegation zone and facing a tough away clash against Celta Vigo, who are without Iago Aspas. That game is live on beIN SPORTS at 2:50PM ET / 11:50AM PT. Over in England, the FA Cup third round finishes with an all EPL affair as Wolves takes on Liverpool. The XTRA at 7PM ET / 4PM PT is the go-to spot for all the best highlights, action and reaction from the day. Time for the juicy news of the day. Well, mostly unsubstantiated rumors, but who's counting? And let's start with the juiciest one of all, the notion from the Sunday Express that Chelsea is set to fix its misfiring forward issue by picking up PSG's Edinson Cavani this January. Simply not going to happen for so many reasons but Sports Burst is going to run with it. Monaco should be announcing the signing of Cesc Fabregas today with the Chelsea midfielder having switched Stamford Bridge for a giant mess in Monte Carlo. The Spaniard will be joining Brazilian defender, Naldo, and might even have Pepe to keep him company. The Portuguese is currently out of contract having left Besiktas and may be signing up with football's equivalent of The Expendables. 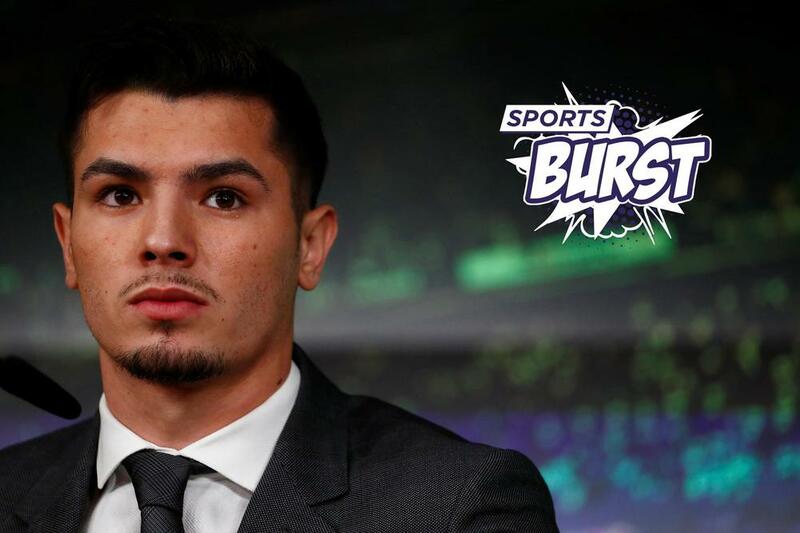 Tune into our Sports Burst live show at 12PM ET / 9AM PT with our Gabrielle Amado and Jeremy St. Louis to see what they make of the deals of the day. A third meeting between the same teams for the third time in four years in the college football final on Monday...or Wayne Rooney's excuse for an unfortunate event in December? Of course Sports Burst is going with the latter with the DC United man's camp claiming that the unfortunate mix-up of sleeping pills and alcohol were behind Rooney being the footballer being arrested at Dulles airport, having disembarked from a flight from Saudi Arabia. The footballer was arrested after setting off a door alarm at the airport and held in custody until he was less...blurry. "He was disorientated on arrival," claimed a spokesman in an excuse that works for Sports Burst. Next Sports Burst - Pochettino: Mad for Madrid?